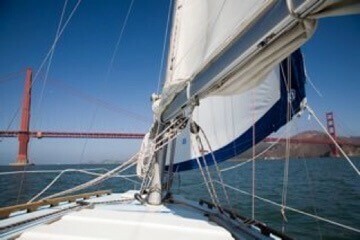 Golden Gate Burial Services performs two objectives: attended and unattended Full-Body burials off the Mendocino Coast or the scattering of cremated remains beyond the Golden Gate Bridge under sail. Working with a Home Funeral provider or Mortuary we offer a unique alternative in the selection of the final resting place for loved ones. Why choose burial at sea? There are few coastal areas in the world as well known as the sea beyond the Golden Gate Bridge or the beauty of the Mendocino Coast. Golden Gate Burial Services provide a natural, affordable, and environmental alternative to a traditional cemetery burial. Families who chose either alternative find it the ideal resting place for their loved ones. 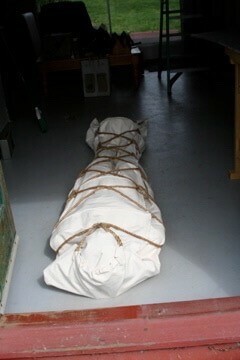 Full body burial at sea is a time honored tradition for those who wish. Federal law allows burial at sea under conditions so strict that few coastal locations meet the requirements. The deep canyons off the Mendocino Coast, beyond the three mile limit meet these requirements. Chapel by the Sea 707-964-5675 (email chapelbythesea@gmail.com) works with us to enable a respectful full body burial at sea. If attended we charter a licensed vessel to carry family members and loved ones and if unattended we use a salmon troller at less cost. The burial shroud and documentation are inclusive in our cost. We will provide a shroud which meets federal requirements. Golden Gate Burial Services will, at no cost to veterans, scatter cremated remains beyond the Golden Gate Bridge if received by US Post with a Permit for Disposition of Human Remains. Veterans families or loved ones will receive a Certificate stating the date, location and time of burial. Documentation will be filed as required with local and state agencies. Captain Norman de Vall founded Golden Gate Burial Services in 1993 to give families other options for selecting a final resting place for their loved ones. ‘lil wing is a seaworthy 29-foot sloop and is licensed by the State and County. Captain de Vall’s experience and love of the sea ensure that the deceased will receive a respectful and beautiful service. The entrance to the Golden Gate is a recognized site for at-sea burials. Golden Gate Burial Services sails from Sausalito on the ebb tide reaching the Golden Gate Bridge. 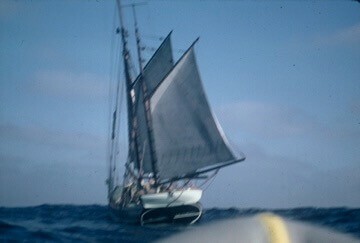 We continue westerly towards Mile Rock. When we reach a point one mile west of the Bridge, we perform the service requested or the time honored burial at sea commemoration and record our latitude, longitude, depth and weather. Upon request, we will video or photograph the service. We complete the required documentation with state and county agencies and provide you with an Affirmation of Burial. How are cremated remains sent to Golden Gate Burial Services? Can I perform an at sea burial myself? Yes. While state laws vary there is general acceptance that ashes may be scattered at sea by anyone authorized to do so. We recommend contacting the County Health Department for State and local regulations. How can I learn more about Golden Gate Burial Services? Please contact us by e-mail at info@ggbs.us or telephone 707.357.5555. You also may contact Chapel by the Sea at 707-964-5675. 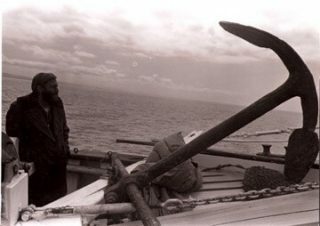 We will answer all questions you may have regarding burials at sea. Is it possible to accompany Captain de Vall on this voyage? Yes. When requested for either the scattering of ashes beyond the Golden Gate or for a burial at sea off the Mendocino Coast. Will Golden Gate Burial Services photograph or video the service? But the sea and shore will remain forever.